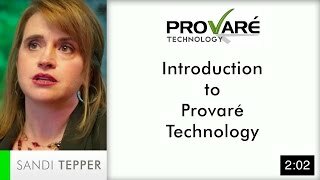 Welcome to the Provare Technology Knowledge Center! After many requests, we have finally started trying to collect lessons from our years of experience into one place, broken into small topics that address specific questions or issues. On this page, you will find a collection of all of the white papers, tutorials, helpful hints and tips, and videos that we have created since we started Provare in 2004. We hope you find them useful. We'll be adding to this page pretty regularly from now on, so come back often. We'll also be posting anything new on our LinkedIn page, so make sure to follow us on LinkedIn. And our videos are all on our YouTube Channel in case you want to share them. Process Improvement can be nebulous and can have many different facets and methods of implementation. The plethora of options can lead to confusion and misconceptions about what it means when “Process Improvement” comes to your team. 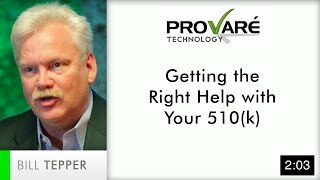 In this Helpful Tip post, we look at three of the most common and help you understand why these aren’t the obstacles that you might think they are. 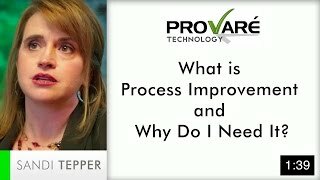 What is “Process Improvement” anyway? Process Improvement is all about getting all of the tasks, data, and resources aligned in such a way that the best possible outcome is achieved. It is applicable to every process, regardless of complexity, whether you are assembling milk shakes or jet engines. As with most professions, there are a few truly great process improvement consultants and a whole lot of bad ones. Improve your odds of finding one of the great ones with these 7 questions. A fast-growing business may be highly profitable but can become inefficient and chaotic as it grows. Tame your business jungle with some process TLC and improve your bottom line even further. 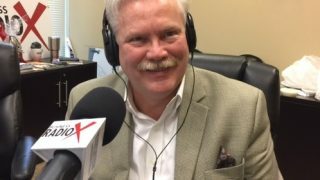 You know your business could operate more efficiently, but how do you know if process improvement would help? Here is a quick list of symptoms to look out for. Small businesses often reach plateaus at which the next phase of growth seems almost impossible to attain. Often this is because structures and processes aren’t scalable. With the right help, this is a very fixable challenge. Many large businesses and agencies are requiring their vendors to have written quality plans. Don’t miss out on a huge opportunity because you don’t have one. You won’t have time after opportunity knocks. For Life Sciences startups, the regulatory paperwork is justifiably scary. But if you get the right expert help, it can be a breeze. Don’t suffer though unnecessary angst. Hire a quality & regulatory expert. 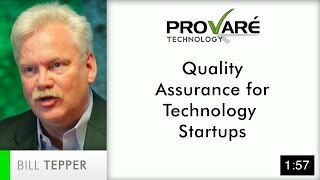 Your QA manager can make or break your QA team and your product’s quality & reputation. This article tells you what to look for in a great QA manager and what to avoid. In a previous post, we showed you that great testers are 3 to 5 times as productive as the not so great ones. 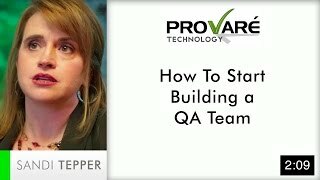 Here’s how they do it and what to look for when building your QA team. This article traces the progression of QA people from Dummy (reasonably productive) to Amateur (highly unproductive) to Professional (highly productive) and offers some advice to avoid or shorten the amateur stage. Some advice on how to hire the best software test people and how to tell which people on your QA team are the standouts. SaaS solutions are becoming more and more popular – and for lots of good reasons. But don’t assume that the features are all you need. Ask the hard questions up front and save yourself some heartache down the road. This is a longer and more detailed whitepaper chronicling Ankur’s journey through troubleshooting his cell phone reception in his office. Remember, as Mark Twain said, it isn’t what you don’t know that will hurt you. It’s what you know that just ain’t so. The proliferation of SaaS and cloud-based applications has exponentially increased the dependence on third party browsers – as well as the complexity of supporting and testing our apps on all of them. In this whitepaper, we survey the state of the industry in multi-browser testing tools and share our findings. Contractor or Consultant – Which Do I Need? We often incorrectly use the terms “contractor” and “consultant” interchangeably. But they are actually very different resources. In this white paper, we clearly define the terms and help you recognize the difference between them and to know which you need in your situation. Agile development models and techniques are in increasing use in software development. These techniques may be considered one of the most important people- or management-related technologies of the last decade. 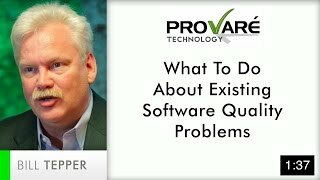 Software development is one of the most complex and high-risk endeavors that any business can attempt. To overcome these challenges, decision makers must make use of a combination of business, project management, marketing, and technical skills that no other industry in human history has ever required.